It’s no secret that essential oils are fantastic for helping the body and mind to calm down, to regenerate and to shift state. Perhaps what is pertinent and yet to be revealed is the benefits of a kit like the Nature’s Solutions Enrolment kit which will help you facilitate ‘change’ in everything from transforming a home renovation, room clean, declutter and discard unwanted items, which ends up with psychological benefits beyond the obvious for you! It’s all good! The ‘Nature’s Solutions Kit’ comprises of the following items: 15ml bottles of: Digestzen, Purify, Tea Tree, Oregano, AromaTouch, Frankincense, Lavender Peace, Easy Air, Citrus Bliss, Lavender, Lemon, Peppermint, Smart & Sassy, Lemongrass, and On Guard. 10ml bottles, well more like roller bottles of: PastTense, and Clary Calm. A 5ml bottle of Ice Blue. Extras like: Correct X, Ice Blue Rub, Fractionated Coconut Oil, Easy Air Vapour Stick, Petal Diffuser, Wooden box, On Guard Cleansing Toothpaste, On Guard Foaming Hand Wash (with 2 dispensers), On Guard Beadlets, Introductory Packet & Enrolment Packet (included stationary and details on Doterra, stickers for bottles and information pertinent to Doterra). Digestzen – otherwise known as Digestive Blend. Common uses - Bloating (generally caused by poor food combining), colitis (really uncomfortable condition and aggravation of the wall of the colon) constipation (generally not enough water or hydration in the food one is consuming can cause this, also stress), Cramps in the abdominal area, Crohn’s disease (more common than people know), Diarrhea, Food poisoning, Gastritis, Heartburn, Nausea, Parasites, Sinusitis. Four best ways to use Digestzen; a few drops under the feet; a drop in an empty glass of water, add room temperature water then sip on this to ease discomfort; Apply a few drops to palm of your hand, add fractionated coconut oil, and massage in a clockwise direction around the abdominal area. This relieves bloat and discomfort quickly. The fourth way to use Digestzen is to diffuse it around the dining area, or in a room where someone has been unwell. This helps significantly, due to the blends ingredients which are: Ginger, Peppermint, Tarragon, Fennel, Caraway, Coriander and Anise. Purify - otherwise known as Cleansing Blend. Single oils in this blend are - Lemon, Lime, Siberian Fir, White (Australian) Fir, Pine, Citronella, Tea Tree and Cilantro. Awesome in the air purifier and diffused. To clean with this one, use 5 drops to a damp rag, and use to wipe down surfaces. Deodorant/Deodorizing: add 5 drops to around 1 tablespoon of water in a small spray bottle and spray into the air, into garbage bins or on other surfaces needing deodorizing. Purify blend is not one I would use on the skin, its really about cleaning and cleansing. Tea Tree - Can be used for just about everything. Primary uses for Tea Tree are - Acne, Allergies, Ancurysm, Athlete’s Foot, Bacterial Infections, Boils, Bronchitis, Candida, Canker Sores, Cavities, Chicken Pox, Cleansing, Cold Sores, Common Colds, Coughs, Cuts, Dermatitis, Eczema, Dry or Itchy Eyes, Ear Infections, Earache, Influenza, Fungal Infections, Gum Disease, Hepatitis, Herpes Simplex, Hives, stimulation of the Immune System, Infected Wounds, Infection, Inflammation, Jock Itch, Lice, MRSA, Mumps, Nail Infection, Pink Eye, Rashes, Ringworm, Rubella, Scabies, Shingles, Shock, Sore Throat, Staph, Infection, Sunburn, Thrush, Tonsillitis, Vaginal Infection, Varicos Ulcer, Viral Infections, Warts and most Wounds. I Told you that Tea Tree is a wonder! Since I ended on ‘wounds’, here’s what you can do. Wash wound with a mixture of 1 drop each of Lavender, Tea Tree and Basil added to warm water. Or mix 1-2 drops oil with 1 tablespoon of fractionated coconut oil, and massage on infected location, neck, arms, chest or feet. 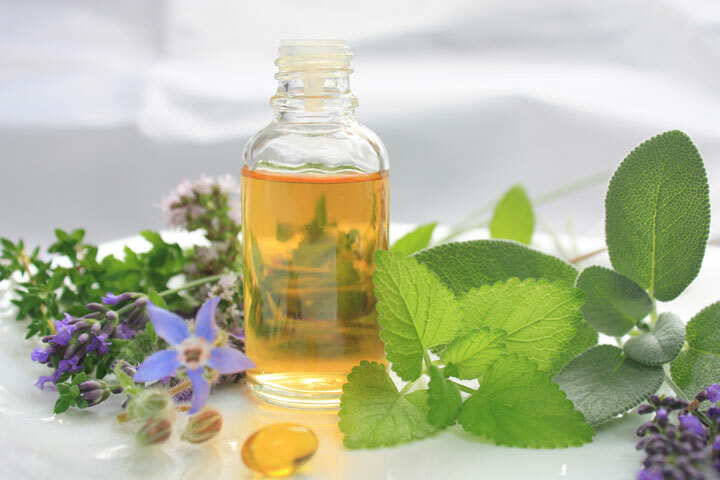 Oregano - Useful for warts - add 1-2 drops oregano to a few drops of fractionated coconut oil. Apply 1-2 drops of the mixture on location daily. Oregano is the parasite oil, it is antibacterial and antifungal. Helps with colds, digestive problems, metabolic balance, obesity, viral and bacterial pneumonia. Place a few drops of Oregano with fractionated coconut oil and rub under the foot about the middle of the foot. You can do a 10-day parasite cleanse using a few drops of oregano and applying same time, 3 times a day for 10 days, for annoying or aggravating parasites. You may need to do this for several months. Oregano protects your immune system. Useful for mouth ulcers. Mix 2 drops of oregano with 10 drops of fractionated coconut oil. Apply directly to ulcers or canker sores. Caution can be quite harsh on the skin without a carrier oil! Always use a carrier oil when applying to children and always start under the feet with this oil. Aromatouch - also known as ‘Massage Blend’ - This is a blend that I use more for emotional pain. Yes, you can use Aromatouch with physical discomfort, however, the aroma of Aromatouch lends itself more to relaxation and release of tension. Aromatouch is part of the Aromatouch Relaxation Technique, which was developed by Dr. Hill, one of the founders and owners of Doterra. Aromatouch blend is made up of the following essential oils - Basil, Grapefruit, Cypress, Marjoram, Lavender and Peppermint. The massage blend may help promote an anti-inflammatory effect on soft tissue and enhance all aspects of massage. I use Aromatouch as a soothing and refreshing blend on tired and sore muscles, and it diffuses nicely too. Add a few drops to your massage oil, and rub on affected areas. Frankincense - One of the most used essential oils in the world. Frankincense is the king of the oils. Frankincense helps your brain, your thinking and enhances all aspects of healing and wellness. Frankincense helps with aging, allergies, bites (insect and snake), bronchitis, carbuncles, catarrh, colds, diarrhea, headaches, healing, hemorrhaging, herpes, high blood pressure, jaundice, laryngitis, meningitis, nervous conditions, prostate problems, pneumonia, respiratory problems, sciatic pain, sores, spiritual awareness, staph, strep, stress, syphilis, T.B., tension, tonsillitis, typhoid, and wounds. It contains sesquiterpenes, enabling it to go beyond the blood-brain barrier. It may also help oxygenate the pineal and pituitary glands. It increases the activity of leukocytes, defending the body against infection. Apply Frankincense to the scalp area, a few drops; Apply directly to the skin; Use as part of your beauty regime. Enjoy the aroma, it’s magnificent! Lavender Peace - also known as Serenity in the USA - Restful Blend - This relaxing blend contains essential oils that are often used to help calm and soothe feelings of stress, excitement, and anxiety in order to help the body have a restful sleep. Sometimes your head may be full of busy thoughts and you cant wind down. This blend helps to calm you down and promotes a restful sleep. Safe to use with little kids. Individual oils in this - Lavender, Ho Wood, Cedarwood, Ylang Ylang, Sweet Marjoram, Roman Chamomile, Vanilla Bean Absolute, Vetiver, Hawaiian Sandalwood. Add a few drops to your diffuser, apply directly to the skin, and savour the beautiful aroma. One of my favourites. Easy Air - also known as – Respiratory Blend – Breathe in USA - Many of the oils in this blend have been studied for their abilities to open and soothe the tissues of the respiratory system and also for their abilities to combat airborne bacteria and viruses that could be harmful to the system. Individual oils in this blend are - Laurel Leaf (Bay), Peppermint, Eucalyptus radiata, Tea Tree, Lemon, Ravensara and Cardamom. There are many benefits to using Easy air, diffusing it - a few drops in your device, apply a few drops on your chest if you are blocked up, and adding a little-fractionated coconut oil and rubbing on the chest for coughs and colds. I like to diffuse the oil when I’m giving the house a clean, as the aroma freshens the room. Easy Air goes well with Purify for cleaning. Citrus Bliss - also known as Uplifting Blend - contains the following essential oils - Orange, Clove, Star Anise, Lemon Myrtle, Nutmeg, Vanilla, Ginger, Cinnamon and Zdravetz. I use this blend mainly in the diffuser, it’s uplifting and refreshing and wakes you up. The blend contains enough citrus and spice oils that help you with feelings of gloom, distress and disinterest, helping to cheer and motivate the mind, body and spirit. You can also apply on wrists, back of neck, over the heart area, or on the bottoms of the feet. Lavender - Useful for burns and bites. Useful for Calming, skin wounds, stress, anxiety and helping to quiet the mind. Lavender should be in every first aid kit, as it’s vital for helping skin to repair. A universal oil that has traditionally been known to balance the body and to work wherever there is a need. We keep our Lavender by the stove, just in case someone scolds or burns themselves. Apply a few drops with fractionated coconut oil and apply to affected area. Lemon - Another essential oil, that should be in every first aid kit. Apply a few drops to an empty glass, add water and sip on this to clean the blood. This energizing oil is pressed from the rinds of lemons. Lemon has an uplifting aroma that is often used to help balance emotions and provide energy. Peppermint - This oil may help anger, arthritis, colic, depression, headaches, fatigue, food poisoning, hysteria, inflammation, liver problems, even cool down the body on a hot day. There are many uses for peppermint, but perhaps the most beneficial is for relieving anxiety and reduces the discomfort of headaches. For migraines, place your feet in around 5-6 litres of water to cover feet, add 2 drops of peppermint essential oil. Drink a litre of water, and apply a few drops of peppermint on the back of the neck. Rest, and allow restoration effects to happen. Smart & Sassy - Individual oils in this blend are - Grapefruit, Lemon, Peppermint, Ginger and Cinnamon. Top uses for Smart & Sassy - an appetite suppressant - add 4 drops to 1/3 cup water, drink quickly. This blend is used to control hunger and to help limit excessive calorie intake. Cellulite, Obesity, Overeating and Weight loss. See my previous article on ‘What’s so Special About Smart & Sassy’. Lemongrass - Often used for joint and muscle pain. Lemongrass is cultivated in its native India, where the oil is steam-distilled from the plant’s grass leaves. Use on reflex points on the feet. To massage the inflamed area, combine 5-10 drops of Lemongrass with 1 tablespoon fractionated coconut oil. Useful as an insect repellent - combine 5 drops of lavender, 5 drops Lemongrass and 3 drops of Peppermint to 1 drop of Thyme. The mixture can be placed ‘neat’ on feet or added to 250ml water and misted using a spray bottle. Lemongrass is wonderful in the diffuser, freshens up a room and is also a natural antidepressant. On Guard – Otherwise known as ‘Protective Blend’. Individual oils in this blend are - Orange, Clove Bud, Cinnamon Bark, Eucalyptus Radiata, and Rosemary. On Guard is useful for killing harmful bacteria, mould, and viruses. This blend can be diffused into the air or be used to clean and purify household surfaces. Great for decluttering sessions; have On Guard diffusing while you are sorting out your stuff! Paste Tense - Also known as Headache Relief Blend. Comes in a 10ml roll-on bottle. Single oils in this blend are - Wintergreen, Lavender, Peppermint, Frankincense, Cilantro, Roman Chamomile, Marjoram, Basil, and Rosemary. Caution - can cause extreme skin irritation. Apply roll-on applicator to temples, the forehead, the back of the neck, and to the reflex areas on the hands and feet. Inhale the aroma directly. Clary Calm - Also known as Women’s Monthly Blend - 10ml Roll on. This blend combines many different oils often used to help alleviate symptoms often associated with PMS, menopause, and aging. Common uses - Hot Flashes, Hormones (balancing), Menopause, Menstruation. Single oils in this blend are - Clary Sage, Lavender, Bergamot, Roman Chamomile, Cedarwood, Ylang Ylang, Geranium, Fennel, Carrot Seed, Palmorsa and Vitex. (for the record Vitex is also known as chaste tree, chaste berry, Abraham’s balm, lilac chaste tree, or monk’s pepper, a native of the Mediterranean region). Ice Blue 5ml Essential Oil - Also known as ‘Soothing Blend’ - individual oils in this blend are - Wintergreen, Camphor, Peppermint, Blue Tansy, German Chamomile, Helichrysum and Osmanthus. This blend is well known as a soothing blend for inflammation, therefore alleviating pain and soreness. For Arthritis, blend 10 drops with 15ml of fractionated coconut oil and massage gently on the affected joints each day. Can be used safely several times in a day. The ingredient Helichrysum makes this a valuable addition to your first aid kit for bruising and knocks to the skin. Ice Blue Athletic Rub - In Nature’s Solutions Kit, you also receive Ice Blue Athletic Rub. This is a valuable addition to your kid’s sports bag or your first aid kit. The rub has all the ingredients of the oil, set in a light cream mixture, which spreads evenly over the affected areas. Ingredients - Wintergreen Essential Oil, Camphor, Peppermint, Blue Tansy, German Chamomile, Helichrysum, Osmanthus, Eucalyptus, Menthol, and Fruit Extract. 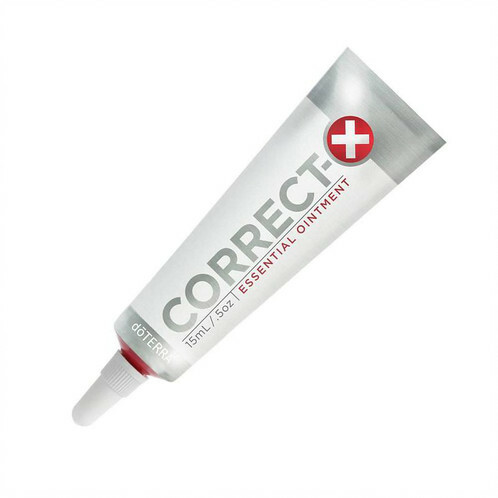 Correct X - is a multi-purpose, natural ointment that helps soothe skin and enhances the natural healing process of skin returning to a healthy state after being distressed. Ingredients – Sandalwood, Phellodendron amurense Bark Extract, Glyceryl Stearate, Jojoba, Sunflower Seed, Polyglyceryl-e Esters, Cedarwood, Lavender, Tea Tree, Frankincense and Helichrysum. Frankincense, Sandalwood and Helichrysum are known to help assist in soothing skin irritations, they are amazing actually! In Correct X you have a protective barrier that helps protect while simultaneously soothing and hydrating the skin. This petroleum-free, preservative-free ointment absorbs quickly and is gentle and non-irritating, making it ideal for sensitive skin. Apply to affected areas as needed. Fractionated Coconut Oil - doTERRA Fractionated Coconut Oil is an all-natural carrier oil that readily absorbs into the skin, making it an ideal oil for topical delivery. Its feather-light emollient effect provides a soothing barrier without clogging pores and is excellent for the dry or troubled skin. It leaves skin feeling silky smooth and non-greasy, unlike other vegetable carrier oils. Fractionated Coconut Oil is completely soluble in all essential oils and is colourless, odourless, and will not stain. For more info – See the previous article on the Home Essentials Kit. Easy Air Vapour Stick – The Vapour Stick has all the ingredients of the Easy Air Essential Oil. Quick absorption, and smooth application of doTERRA Breathe Vapor Stick. This unique delivery method of doTERRA Breathe proprietary blend can be used anytime, anywhere to enjoy a cooling, soothing vapour. The natural formula of this vapour stick glides on the skin with ease, without leaving a greasy or sticky after-feel. The power of the blend can be felt immediately, providing a cooling effect both topically and aromatically. The small and convenient package of the Vapor Stick is perfect for travelling, and only a small amount is needed to feel its immediate effects. Petal Diffuser – The dōTERRA Petal Diffuser turns on when water is inside, and automatically turns off if the water is fully depleted, regardless of how much time is left on the preset timer. Preventing the diffuser from running dry should have a significant impact on the longevity of the dōTERRA diffuser. It’s a ripper of a diffuser giving you approximately 4 hours of diffusion with the choice of having a light or keeping it dark. The best news is its quiet. 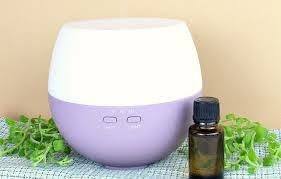 This diffuser automatically comes with the Natures Solution Kit. A real gift! For more information check the article on ‘The Home Essentials Kit’. 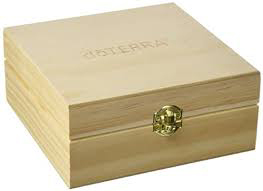 Wooden Box – Custom-made to hold 25 essential oils, this pine wooden box branded with doTERRA is lightweight and compact, making it easy to transport your oils wherever you go. It also serves as an attractive display case for your oils at home or on your kitchen or work/display bench. Made from untreated pine with metal clasp and hinges. Box Dimensions: 6 1/2 x 6 1/2 x 3 inches. On Guard Cleansing Toothpaste – On Guard Natural Cleansing Toothpaste is a natural and fluoride-free solution to help clean teeth, reduce plaque and whiten teeth with gentle polishing agents. Combining On Guard’s Essential Oil Blend of Wild Orange, Clove, Cinnamon, Eucalyptus and Rosemary essential oils provides an extra cleaning boost and together with other natural ingredients help reduce plaque and whiten teeth with gentle polishing agents. Additional essential oils of Peppermint and Wintergreen, and the natural sweetener Xylitol, give On Guard Natural Cleansing Toothpaste a refreshingly unique cinnamon-mint flavour that leaves your breath, and toothbrush, fresh and clean throughout the day. Myrrh essential oil is soothing to the mouth, gums and throat. On Guard Foaming Hand Wash (with 2 dispensers) – doTERRA On Guard Foaming Hand Wash is a gentle, healthy alternative to harsh soaps that may dry and irritate sensitive skin. Fortified with the power of naturally safe doTERRA CPTG Certified Pure Therapeutic Grade®essential oils, doTERRA On Guard Foaming Hand Wash provides the protective benefits of one of the most popular proprietary doTERRA essential oil blends. doTERRA On Guard Foaming Hand Wash cleans and softens hands while providing an invigorating aroma of essential oils that leave your hands smelling fresh and citrus clean. On Guard Beadlets – On Guard Beadlets provide a flavorful dose of doTERRA’s proprietary blend of Wild Orange, Clove, Cinnamon, Eucalyptus, and Rosemary, all contained in tiny vegetable beadlets that dissolve in the mouth to freshen breath and support the immune system. * doTERRA On Guard Beadlets are perfect for home use while travelling, and to boost your family’s immunity—anytime, anywhere. That’s my summary of all the products in this pack. I think that you can see there is so much first aid and practical goodies in this kit, and you can save a few hundred dollars by purchasing this at wholesale. The retail price of the Natures Solution Kit is around $855.00. Wholesale $655.00. Contact me on 0402 166 187 for more information and a walkthrough guide on how to buy this kit at wholesale today x Annie Clark. Please note EXTRA information obtained from the Modern Essentials Handbook. Ninth Edition. This kit has everything you need for the lead up to Winter, it’s ideal for the family. Thank you Annie for an amazing explanation for the benefits and uses of essential oils. 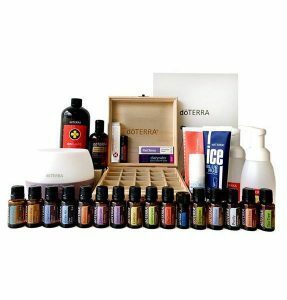 This kit is excellent for natural health care. Thank you, Rosie, for taking the time to read the article. It’s an interesting thing when people ask me what is in the kit and how do I use it, this about sums it up. let me know which essential oils stand out for you and why, if you have the time x Annie Clark. Although all the oils are amazing in their own way I feel Frankincense stands out as it has not only been used since Christianity began and is one of the most used oils world wide, but for its benefits to many and varied ailments including helping relieve chronic stress and anxiety, reducing pain and inflammation, and boosting immunity just to mention a few.